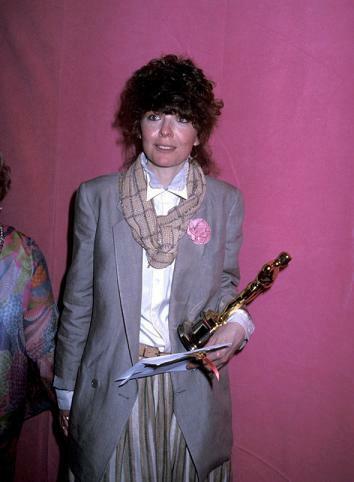 In praise of 1970s and 1980s Oscar style, when there were no stylists and hideous dresses ruled. 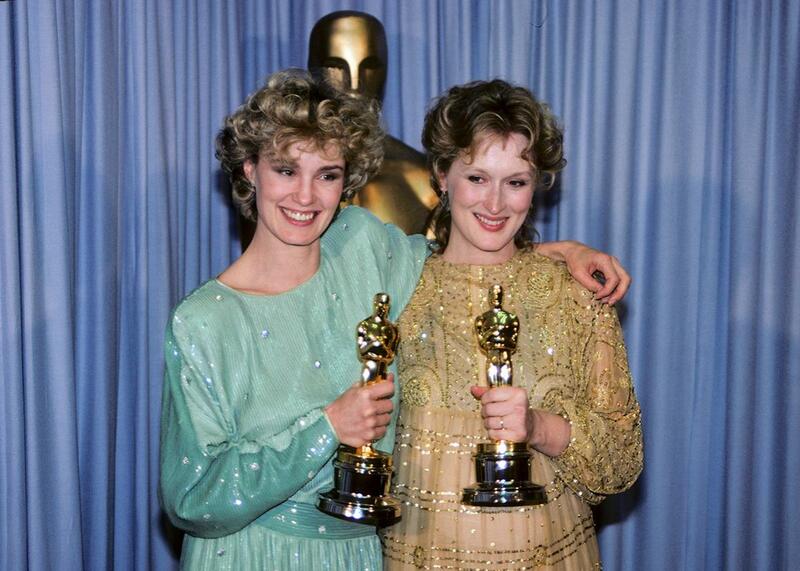 Jessica Lange, Best Supporting Actress winner, and Meryl Streep, Best Actress winner, at the 1983 awards, both exhibiting advanced levels of we-are-serious-actresses-so-it-doesn’t-matter-that-our-dresses-are-ugly steez. In 1995, Uma Thurman wore a loose-fitting pastel lilac gown by a little-known Italian brand called Prada to the Academy Awards and changed the course of fashion history. Or maybe it was Halle Berry’s Elie Saab dress in 2002. Regardless of which particular garment you pinpoint as a game-changer, Oscar night wasn’t always as important to the fashion world as it was to Hollywood. Now designers recognize that the red carpet as a priceless marketing opportunity, not only in the airtime it receives during the ceremony but in the magazine spreads and Internet real estate it will populate post-ceremony. But time was, a best actress nominee could buy a dress off the rack, feather her hair, and set off for the auditorium. Diane Keaton in 1978. She wandered off the set of Annie Hall into the Oscar ceremony, rocking an oversized blazer, a midi-length skirt, and a moppy hairdo that signaled to all in her path that she was going to wear whatever she damn well pleased. What changed? Many point to the advent of the celebrity stylist. Before the Rachel Zoes of the world were advising their actress clients on every sequin, nominees and presenters chose their own looks, and they didn’t always choose wisely. “Fashion was not important in the early days,” an Oscar style historian told the Associated Press in 2003. “Most of the photographs were shot from the waist up.” Contrast that to today, when a recent New York Times article praised Kate Winslet for, gasp, dressing herself once in a while. 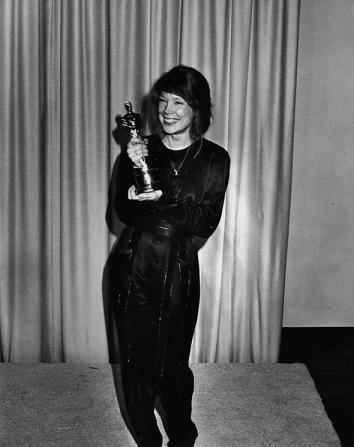 Sissy Spacek in 1981. Won the statuette in a jumpsuit that would give a modern stylist hives, her hair pulled into casually-coming-undone ponytail. During Hollywood’s golden age into the ’50s and ’60s, satin gloves and prim gowns still ruled the day, but the ’70s and ’80s gave way to a golden age of their own, defined by long sleeved mother of the bride–style getups, drop waists and padded shoulders, strong nightgown vibes, bead-covered monstrosities, even the occasional jumpsuit. It’s a shame that fast-fashion mistake purveyors like H&M and Forever 21 didn’t exist in the U.S. during these years to serve the nominee’s shopping needs. Not all these outfits have aged well, but you have to admit there was something special about the cool casualness on display, especially in comparison to today’s overthought, overstyled, oversprintzed everything. 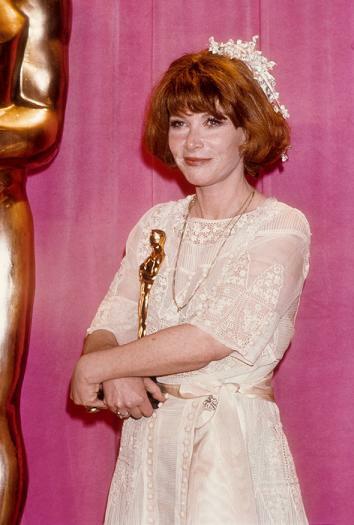 Join us as we celebrate some of that era’s most memorable—and most forgotten—Oscar looks. They’ll make you appreciate a throwback like Bradley Cooper’s mother wearing sneakers and a boa to the ceremony a few years ago. Not GAF is the ultimate power move. You’re up, Brie Larson. 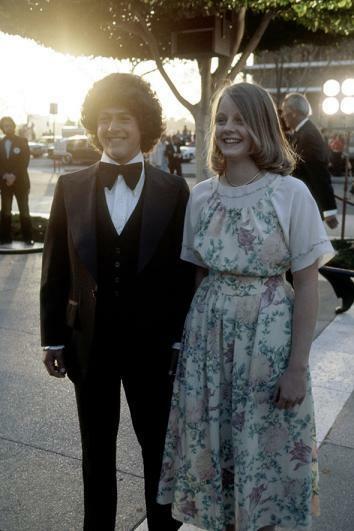 Jodie Foster and guest in 1977. She was only 14, and she actually looked it: another feat that would not fly in Hollywood today. Liv Ullmann and daughter Linn Bergman, 1977. This Norwegian actress shows us that freewheeling 1970s glam is almost synonymous with loose-fitting, comfortable, I-woke-up-like-this confidence. Amy Irving and Steven Spielberg in 1984. Sure, it was the Academy Awards, but it was also just another night … bring on the frilly turtleneck and wall of curls. Lee Grant in 1976. On the biggest night of her professional life, she stuck some—what even is that?—stuff in her hair and called it a night. Brooke Shields in 1979. Before nothing got in between Brooke and her Calvins, a crimping iron did. Madeline Kahn in 1976. In this outfit, she would be equally at home presenting an award, toasting her daughter’s nuptials, or attending a key party: That’s versatility. Why Were All Those Guys So Weird About Mad Max’s Jenny Beavan Winning an Oscar? Who Stole the Red Carpet at This Year’s Oscars?